Make your home feel a lot more distinct and furnished by introducing this gorgeous Complements Kota Vase. This vase has a fantastic design that features crosshatched etchings that texture the surface of this earthenware vase. 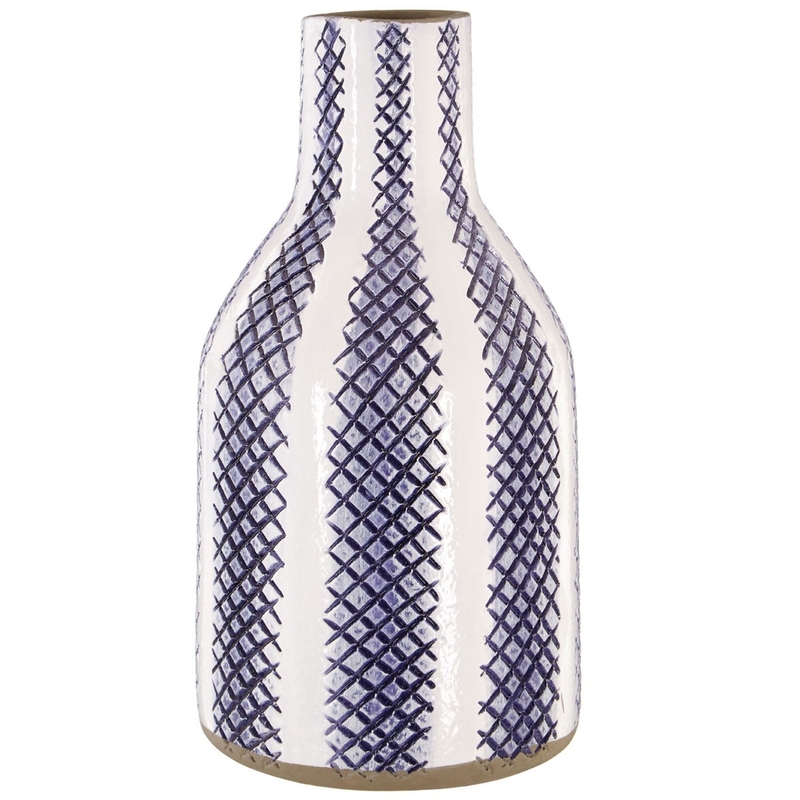 This vase has a lovely combination of a blue and white colour which creates a very homely and inviting style.